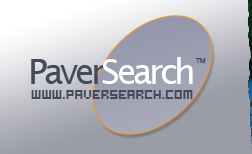 Idaho Counties - Find a local, pre-screened paver professional! The Idaho Transportation Department ran a Transportation Enhancement program in early 2005. The $498, 825 fund was established to construct additional pavement onto the Latah Trail between Joel and Troy. The paving was to be continued on. The paving of the final section of the Latah Trail was very important to the State and the Director of the Latah Count Parks and Recreation, who ran the whole project. This just goes to show how important paving is for local, public and commercial applications. Paving is a popular choice for it is durable, strong, versatile, cost-effective, aesthetically appealing, easy to install and requires very little maintenance. With this many benefits why wouldn't the State of Idaho choose to pave their surfaces to ensure longevity and to enhance the look of their city streets, pavements, sidewalks and walkways. Naples, Idaho: The Idaho Granite Quarry is located in Northern Idaho. The granite from this quarry is of the highest quality and is quite unique. It is generally of a black base color with white mixed through and a lot of sparkling mica and quartz. There is also granite with veining of reds, whites, grays and pinks. 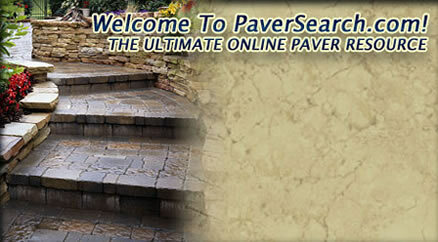 Customers have a wide selection of colors, shapes and sizes of granite paving blocks to choose from. Oakley, Cassia County, Idaho: American Stone & Building Inc operates a large quarry in this region of Idaho. This quarry is one of many companies that quarry the Oakley Stone, which is a very thin-splitting quartzite used mainly for paving stones and as facing. 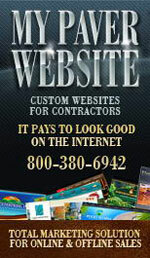 Oakley, Idaho: Cascade Stone Supply is the company running this quarry with over 50 years experience in the industry. This company has quarries all over the US and their stone is most commonly used for Building Veneer, Paving Stones, Landscaping and various other applications. There are many more quarries in the State of idaho that produce some of the most beautiful granite, limestone, quartz and sandstones the country has to offer. These natural stones go into the production of very elegant and classical looking paving stones for all types of residential and commercial paving applications. Idaho is a state where its natural beauty is un spoilt. Its capital city is named Boise. Idaho borders many other states like; Oregon, Utah and Montana just to name a few. Idaho is a state which is nicknamed the Rocky Mountains. This is because of its rugged landscape outlook. There are many natural wonders featured throughout Idaho. Its magnificent hot springs is a great tourist attraction. Another natural wonder is the Hells Canyon. Hells Canyon is larger then the Grand Canyon. It is the deepest gorge in America. Silver city and Custer are towns were mining is best. Long ago Idaho was known for its great tasting potatoes. It’s a very large state but one of the beauties of it is that it is un spoilt and not crowd at all. People come from all over to view and enjoy the pleasurable natural wonders of Idaho. Snake River is a river which is heavy featured throughout Idaho. It is predominately seen especially running through the Hells Canyon. It also runs through into Washington which is a state that borders Idaho.